This coming-of-age classic and the bestselling Chicano novel of all time follows a young boy as he questions his faith and beliefs -- now one of PBS's "100 Great American Reads." Antonio Marez is six years old when Ultima comes to stay with his family in New Mexico. She is a curandera, one who cures with herbs and magic. Under her wise wing, Tony will probe the family ties that bind and rend him, and he will discover himself in the magical secrets of the pagan past--a mythic legacy as palpable as the Catholicism of Latin America. And at each life turn there is Ultima, who delivered Tony into the world...and will nurture the birth of his soul. 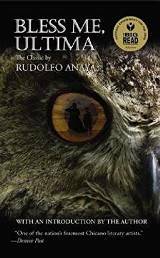 The winner of the 2015 National Humanities Medal, Rudolfo Anaya is acclaimed as the father of Chicano literature in English and for his rich and compassionate writing about the Mexican-American experience.